Great White DJ: "Why Do I Always Feel Invisible?" 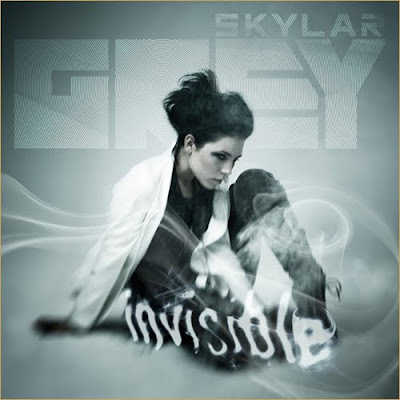 Man just when I was about to say somethin' stupid like @skylargrey can't possibly top her first buzz single Dance Without You, she goes and drops an official single that trumps it like the right bower over the left in euchre...#MidwestStandUp! Coincidentally, Holly's new album's title Invinsible is a portmanteau of the first single below, Invisible and the word invincible. That type of duality is pretty damn creative and the song below appropriately touches on her quick ascension from nothing to something, as the album title suggests. A fun fact I learned this week is that Skylar Grey = Holly Brook...the same Holly Brook featured on @m_shinoda's track Where'd You Go? Y'all remember that track? I couldn't stop playing it and that was much in part to Holly or Skylar's angelical hook. I love it when a supposed new artist surfaces and I find out that I've liked them all along and didn't even know it. Call it re-branding, call it getting a break, call it a talented young woman rising to the top...no matter where you go with it, it's a great story. Endless dap needs to be shelled out for yet another extremely dope beat by @alexdakid, who continues to be THE trendsetter in Hip Hop. The 808 thump on Invisible would make @chuckisdope blush and when it's set to a perfect tempo and kick to boot, it's just beautiful. If this track were a painting it'd be in one of those museum's you gotta pay for, you got me?